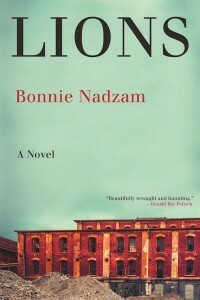 Bonnie Nadzam’s Lions feels composed from the Whistle-Stop Cafe’s Recipe Book for Folksy Novelists: one part dead-end town, just for passing through; equal parts young lovers, one hell-bent on leaving, the other rooting to stay; a dusting of tumbleweeds across the highway and a dash of rhubarb pie, all narrated in a wise, second-person kindness as if regaled from a porchfront rocker. Nadzam is a perfectly capable writer trapped in her own dead-end story, and it’s a story I reckon you’ve heard before. Still, a familiar palette isn’t much of a criticism; faulting Lions for its small world would be like faulting a guitarist for not doing more than strumming a twelve bar blues and singing about home. Lions is a rare kind of genre fiction: one in the canon of American realism, lost in a time before our cliches wore out. A mysterious stranger wanders through town one evening and is later found dead. His passing doesn’t necessarily put a chain of events into action, but instead is the first ‘event’ of any sort that the empty town of Lions has had in recent memory. His strange appearance is quickly canonized into the town’s local lore, alongside The Echo Station, where legend has it the “dust and light would take the form of either a past or future self” if you closely follow the superstition’s steps, and Lucy Graves, the ghostly “old homesteader with hair the color of milk” after which May Ransom named her diner. This transient reminds the ten or so characters that make up the novel (and seemingly the town’s entire population) that Lions is not a good place in which to end up with any finality. 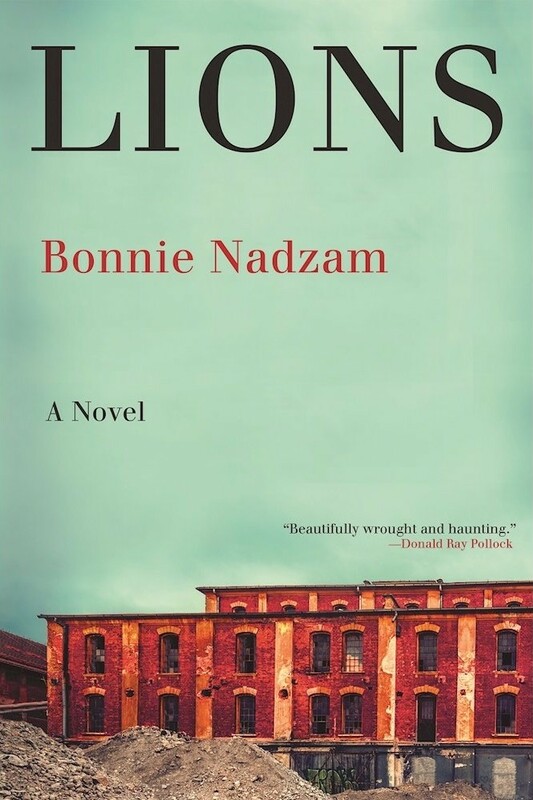 The tired drama of teens wanting to leave Nowheresville, USA becomes the central plot of Lions (a limiting choice for Nadzam, particularly so after establishing that her town’s livelihood is built on passing around local legends). Leigh and Gordon had romantic plans to go to school together in the fall and finally leave Lions, a town “not only bare, but obviously cursed,” “comprised of no more than searing light and eddying dust.” But the untimely death of Gordon’s father John disrupts their departure. John confides something to Gordon while on his deathbed, a mystery that Nadzam alludes to throughout the novel as Gordon disappears from Lions for days at a time. He misses John’s funeral and Leigh’s birthday, and a rift begins to form between him and his former soulmate. With emotional pressures from his family and the uncertain fate of his father’s Welding Shop, Gordon’s mind — and body — are distracted and elsewhere. “There was no future in Lions,” the narrator explains. “No matter how many stories you heard about years gone by, no matter how may plans you had stocked up for the future, you were confined to a never-ending present.” Leigh and Gordon’s conflict neatly fits into these two opposing forces: while Leigh dreams of the future, Gordon finds comfort in his dusty daily routine. Developing this interest in tenses, Nadzam occasionally breaks free from this traditional story with a few jumps in her timeline, to Leigh as a grown woman. These moments are fleeting, but they are highlights and exemplify the nostalgia that runs through the novel. Yet, in conjunction with the plodding action of the rest of the book, these shimmering shifts are ultimately detrimental: they inadvertently show readers a novel that could have been and permit them to wonder if the drama in Lions would have been more effective in hindsight. Lions is familiar story about two young lovers in a dead-end town, one hell-bent on leaving, the other rooting to stay. WHY does Gordon not want to leave Lions? Why does Leigh want to? What does Leigh’s restlessness suggest about the American West? What becomes of Gordon, after all? Is Gordon really visiting a ghost named Lamar Boggs or is this just another story that Leigh tells herself? (A more careful reader would note that the sections describing Gordon going to see Boggs are told from Leigh’s point of view). How do you explain the ending, where an older Leigh finds a cabin close to town (not in the mountains after all) with Gordon’s stuff inside? Moreover, I think it is exactly wrong to say that Gordon’s mind is “distracted and elsewhere”. Perhaps the central theme of the book is that when engaged in his work, Gordon is the picture of non-distraction. Rather, it is Leigh who is distracted by dreams of leaving town for the bigger and better, elsewhere. You seem to miss the irony of the narrator’s statement that Lions is “not only bare, but obviously cursed”. Who is the narrator and how is he/she invested? It’s too bad to see a website claiming to be dedicated to book reviews posting such a careless reading of a fine novel. I’ve noticed similarly careless reviews by Mr. Arnold and it is certainly disappointing. Mr. Arnold: learn to read for more than plot, or review movies instead! Dear David, I appreciate you speaking up and passing on your comments and criticisms. I’ve seen a lot of glowing reviews of LIONS and knew I’d be an outsider with what I posted, but I stand by it. I think by setting her story in what, to me, feels like an American West Lego Village, Nadzam limits herself to telling a simple – and at times, very cliche – story. Nadzam undoubtedly has great potential, all of which can be clearly seen in LIONS in the few moments we see Leigh as an adult. These are complicated, beautiful passages. But each of those moments that you find exciting to talk about are nestled in pages of useless banter in a diner about home-cooked meals, “the men” talking about their mechanical work, predictable narration about the dust settling on the plains, and so on. I think many readers will find these elements a slog to get through, and when they do, won’t care enough to wonder what’s motivating these seemingly stock characters through what is essentially a story that they’ve heard before. Gordon, I think (as I wrote in my review), is quite literally distracted and elsewhere in the novel, but it’s on a curious small-town level (he is 100% not there for much of the book’s midsection). It’s not the elsewhere that Leigh’s been dreaming of, but it’s his own way of leaving town and seeing what else is out there. I think that his absence, though, was a turning point for Leigh and their relationship – do you think her desires to leave were cemented while he was gone, in a “well if he can be gone then I can too”, kind of way? Did Gordon’s absence inadvertently show Leigh how to be alone? Any ad hominem criticisms you’d like to make about me can go directly to our editor, but let’s keep the comments section for discussing the novel.